Ariel Martinez, Hispanic Access Foundation Intern, returns for a second summer to fulfill her mission of connecting communities to the outdoors. My name is Ariel Martinez and this is my second summer working on a refuge thanks to the Hispanic Access Foundation. I applied to the program again because I had such a great experience, that I wanted to continue that work and put the things I learned last summer to good use. My first ever experience with environmental science was when I took the AP class in junior year of high school. Up until that point I had never considered making that a career path, largely because I hadn’t known it was an option. When I stopped to consider the reason for my ignorance, I realized it was because the field of environmental science did not have many people who looked like me, sounded like me, or had similar backgrounds to me. When I read about environmental science, or saw something related on television, the people in the spotlight were almost always white men. That’s why I was so thrilled when I found out there was a program that was working to bridge that gap by bringing more Latinx people into the field, and giving them a platform where they can connect to the community. This program is important because it not only brings a fresh perspective to U.S. Fish and Wildlife Service, but it also opens a pathway for other minorities to pursue the same kinds of experiences, studies, and careers in the future. I lead every outreach and education event hoping there will be even one person there who will leave the program and think, “I want to do that too,” or “I want to come here again,” which I think is the goal for both Hispanic Access Foundation and the Service as well. I’m really excited to be working at Iroquois National Wildlife Refuge this summer. It’s been a great experience so far. I helped run the kids fishing derby, which was a lot of fun. 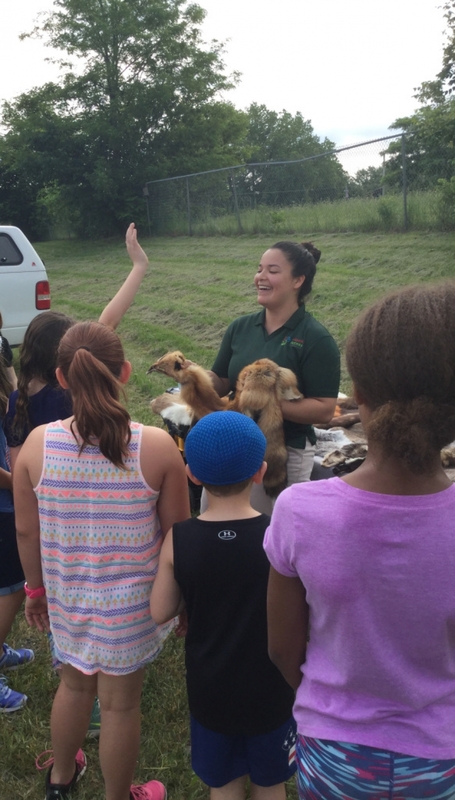 I was also able to lead a few sessions of a program on pelts and skulls at a field day for third graders and do some work with a pollinator garden in Buffalo this past week. I am looking forward to doing more programs and expanding the refuge’s network in the community. For Latino Conservation Week events, I have been in contact with the Boys and Girls Club in Rochester as well as the Division of Parks and Recreation in Buffalo to provide environmental education programming and getting students outside.